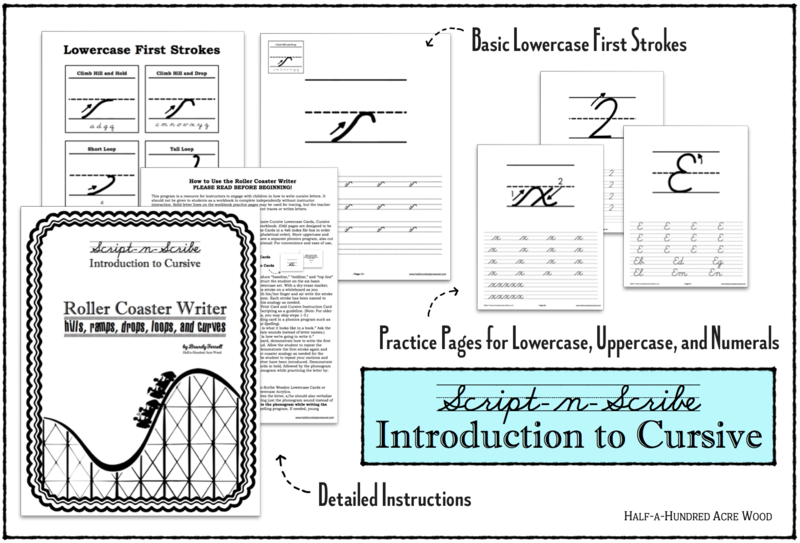 Learn the hills, ramps, drops, loops, and curves of cursive! 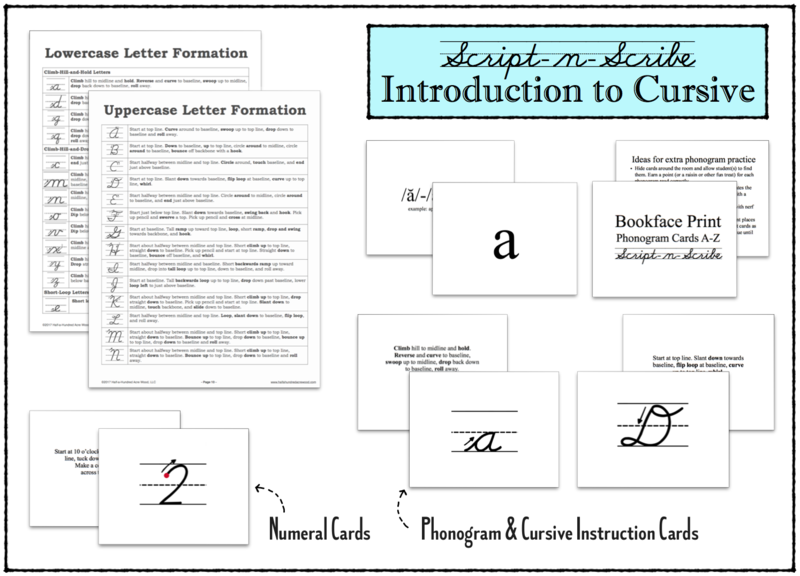 Our introductory program for learning how to form cursive letters also includes instructions on teaching phonograms by sight and dictation. This cursive program offers ideas for large motor skills to help young children learn to write and continues through the learning of each letter, grouped according to beginning cursive stroke to reinforce correct letter formation. 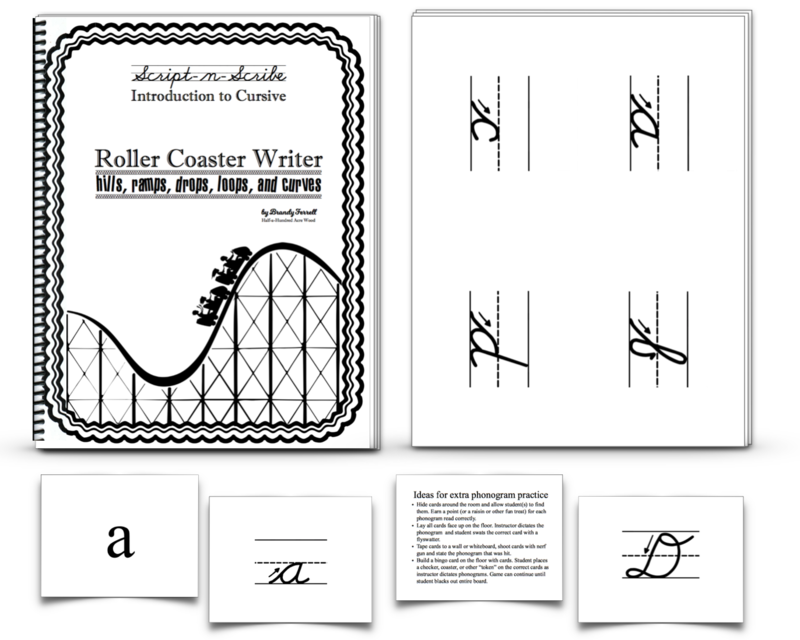 This 137-page resource includes four sets of cards: Lowercase Cursive Instruction Cards, Uppercase Cursive Instruction Cards, Bookface Print Phonogram Cards, and Numeral Instruction Cards, along with an 84-page practice workbook that starts with learning six basic lowercase starting strokes and builds up to the formation of each letter. 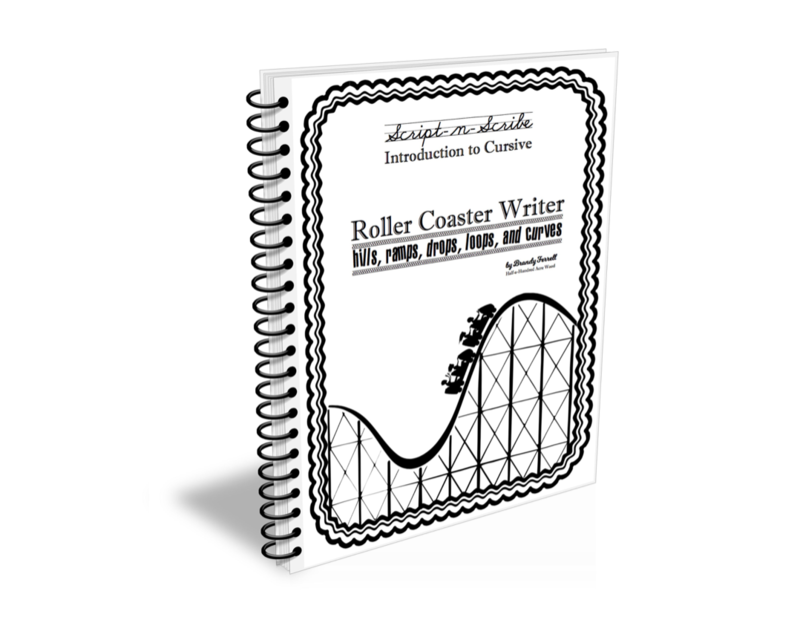 Format: Printed, spiral-bound (85-page) workbook with additional 52 pages of instruction cards printed separately on cardstock (26 cardstock pages printed on both sides).